Word Up Wednesdays...Are You Willing To Pay The Price For Your Dreams? 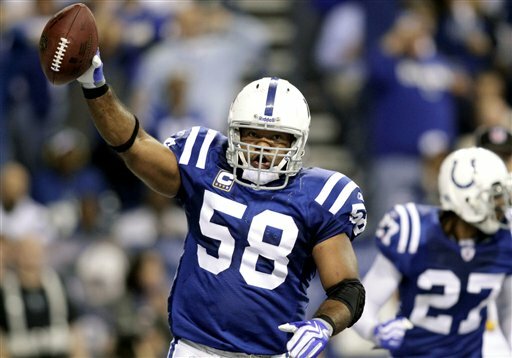 Gary Brackett is an NFL middle linebacker with the Indianapolis Colts. He graduated from Rutgers University but was a walk on in college football. He hadn’t been recruited; he hadn’t been offered a scholarship; he didn’t start out with the level of respect that comes with being recruited for a school team; and his parents had to make great sacrifices to enable him to have a chance at fulfilling his dream. But by his senior year, Brackett had not only earned a football scholarship, but he was captain of the defensive team and been named the team’s defensive Most Valuable Player. Now Gary Brackett wears a Super Bowl ring and earns millions. Father, forgive us for the times we’ve felt like quitting and the times we have quit. Renew within us the resolve to stay on course and to do whatever it takes to get to the place for which we believe You created us. Let us now be discouraged, but give us the perseverance to continue to work in our fields until the harvest comes. In Your name we pray, Amen.